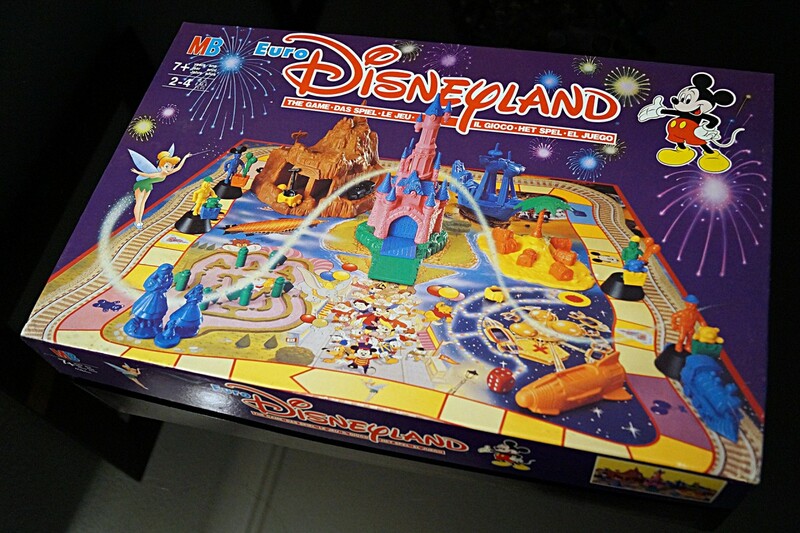 This bold and exciting sounding claim can be found on the box of the 1992 Euro Disneyland Board Game, one of the more exceptional items published in relation to the opening of the new Euro Disneyland theme park. One of the most treasured items of my Disneyana collection must be the 1992 Euro Disneyland Souvenir Map, which is hanging, nicely framed, on the wall of my study. With a size of 113 x 75 cm (44.5″ x 29.5″) this map is quite large and I remember it wasn’t very easy to find a frame large enough for it. I do love this map. I love to study it and no matter how often I look at it I still discover something new each time, something I have never seen before (isn’t it like that with any good Disney attraction?). 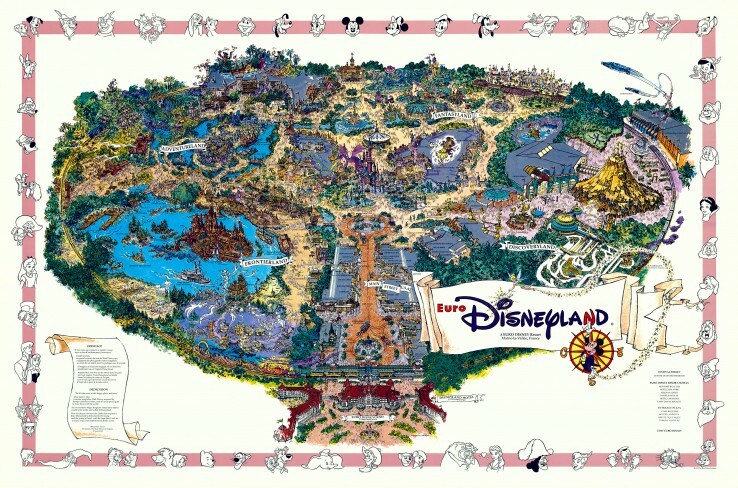 The map is beautifully drawn and coloured and it is packed with so many intricate details that it is a real treasure trove of information about the Euro Disneyland park of 1992 and its’ then-conceived future.